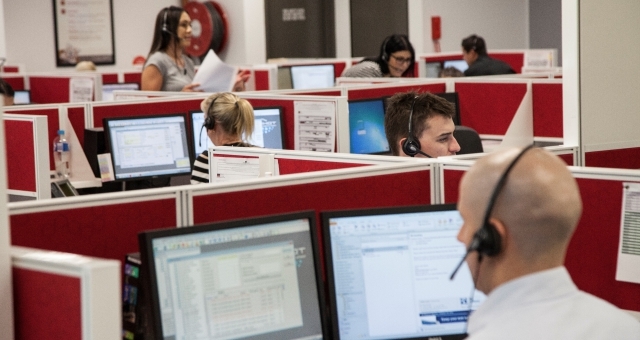 Mantra Group has converted its Reservations Centre at its head office in Surfers Paradise to a 24-hour operation to keep up with increased demand. After seeing a significant increase in booking enquiries from customers, corporates and trade clients, Mantra Group Reservations Centre General Manager, Anton Derham, said the Company needed to cater for the additional demand at the Reservations Centre and extend the trading hours. 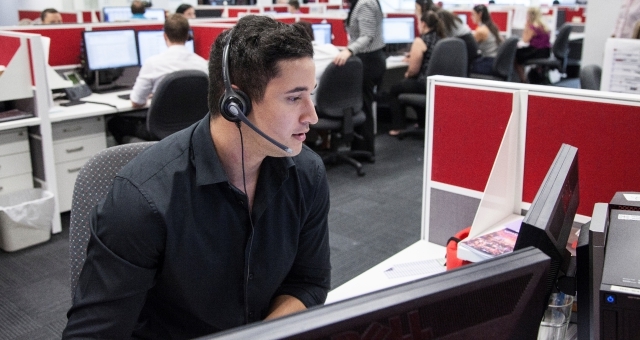 “We now have approximately 90 team members who work here on the Gold Coast, to ensure our Reservations Centre is staffed 24 hours a day, seven days a week, so it doesn’t matter if you can’t book your next holiday during the normal 9-5 hours, now you can book with us whenever suits you best,” he said. “We are very proud of the fact that we base these roles in Queensland and are not outsourcing these jobs to external companies overseas. “During 2017 Mantra Group Reservations saw a 10% increase in call volumes so we now service more than 650,000 consumer calls each year and we only see that number increasing in 2018 with the extended trading hours. “Many of our guests prefer to speak with an expert who cares about their holiday arrangements and we are perfectly placed to assist in this process. “Whether it is a trip to in Melbourne, Gold Coast, Perth, New Zealand, Bali or Hawaii, the team is fully trained to handle all enquiries,” Derham said. The Reservations Centre takes national and international phone and email enquiries for all Mantra Group properties which includes Mantra, Peppers, BreakFree and just recently, the Art Series Hotels. “The feedback from customers who have booked through our Reservations Centre has been really positive because they receive excellent customer service and the hold times are typically short so they are able to talk to one of our Reservations Consultants quickly,” Derham said. “We know when a new campaign is going to launch or an EDM will be sent to our database, so we increase the staff rostered on at that time. “To keep up with the volume of enquiries we receive, we must be across every aspect of the business to ensure that wait times are kept low for our customers. “Part of our quest towards being our customers’ favourite accommodation provider is offering great value deals as well as an excellent experience at all of the properties across our brand portfolio and we see our 24-hour Reservations Centre really adding to that experience,” he said.